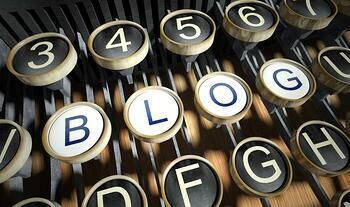 Blogging can reap huge benefits for B2B organizations. For example, according to HubSpot, companies who blog receive 55% more website visitors as well as 97% more inbound links. Additionally, 82% of marketers who blog daily have acquired a customer through their blog compared to 57% who only blog monthly – which is still an impressive statistic. With these types of stats, it’s no wonder there are so many blogs out there. The key is to make sure your audience is engaged with yours. Here are six ingredients for blog posts that drive traffic and engage your buyer personas. The title of every post is the first thing your audience will see whether they are a subscriber or a prospect who finds your post through a search. Make sure it grabs their attention. Numbered lists and “how to” guides are popular with most readers. For example, many Imagine posts start with a number. Two of our most popular recent posts are 5 Tips to Revive a Zombie Sales Opportunity and 4 Ways to Improve B2B Website Conversion Rates. Another approach that works well is to ask a question in the title to hook those readers who are looking for answers. This recent post, also from Imagine, has been popular: Want to Accelerate Sales? Focus on Marketing Leadership. For more tips on creating titles, read this post 10 Tips for Creating Effective Blog and Email Headlines. A picture is worth a 1,000 words, right? Including an image or video will increase reader engagement. Infographics, charts, drawings and photos can all be used. If you promote your posts through social media or if your readers share them using social media, the image you include may be the reason someone clicks. For help creating professional images visit Canva.com. Or if you’re looking for free stock photography, try DeathtotheStockPhoto.com. It is important that your business establish a voice or a style of writing for your blog that will resonate with your buyer personas. If your personas are highly technical people, you may decide to write with a technical voice. If your personas and market call for a more casual approach, then you should take one. Many times a blog has multiple contributors. Each writer may have a slightly different style but they should all sound like they are coming from your company. Sometimes learning to write with a defined style or voice can be difficult. If you’re struggling with it, practice. Try writing something everyday using that voice. Even just a short paragraph or two will help you improve and gain confidence. One way to gain credibility with your readers is to provide examples. If your company or customers have experience with what you’re writing about, tell that story. It will give your readers a reason to trust you and to keep coming back to your blog to learn more. Additionally, storytelling and examples help readers remember what they’ve read and understand how it applies to them. There are a lot of people who will say that a blog post (or any content) should never be more than 600 words. They argue that, in general, audiences have short attention spans and will not take the time to read long-form content. The truth is that many times longer content is better for improving SEO and increasing traffic to you site. Search engines love long, authoritative content. They especially love it if it solves a problem for the reader. The more content you have, the more of it that gets indexed and performs better in search results. This post from QuickSprout is a great resource to help you convince your writers that longer really can be better. With that said, shorter posts may still have a place in your overall plan. For example, if your goal is to get more comments on a post, then shorter is better. A post that is designed to start a discussion should be shorter. According to The Write Practice, posts that are 275 words or less work best as discussion starters. After your reader finishes their post, it is important to keep them engaged. One way to do that is to include a call to action. The CTA can be as simple as ending your post with a question to spur the reader to engage further by commenting on your post. You can also add a CTA that directs the reader to another piece of related content. Chances are that if your post provided them with valuable information, they will want to learn more. Maintaining your enthusiasm for blogging can be difficult but the rewards will be worth your efforts. Evaluate your next post and make sure you’re considering these six components.